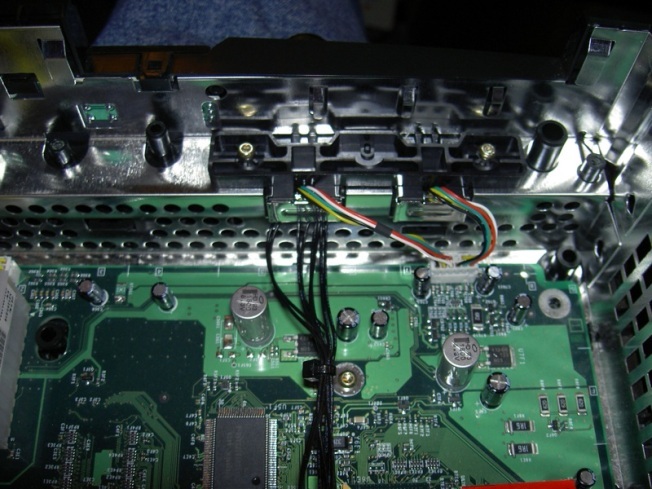 If you've modded your Xbox 2 with hardware like the Xecuter pictured here, you may be kicked off of Xbox Live. Between two and five percent of all Xbox Live accounts just went offline in a full frontal assault on video game piracy by Microsoft. The popular service, used by 20 million subscribers, allows Xbox console gamers to play against each other online. The move comes shortly after the eagerly awaited release of Call of Duty 2: Modern Warfare from publisher Infinity Ward, a subsidiary of Activision Blizzard. A copy of the game turned up on file sharing sites even before it was released to the general public. However, to play such a copy, the electronics of the Xbox console have to be modified in order to play it. And while neither Microsoft nor Infinity Ward has disclosed how it was determined if a particular Xbox Live user was using a pirated version of the game or modified console, it's not far-fetched to believe that the device "phones home" with security keys from the game or device that could alert either company. In gamer lingo, any warez users or box modders fragged in the dragnet just got seriously pwned. But their Xboxen weren't entirely bricked, they just won't be able to lob homophobic slurs at noobs for the time being. Jackson West wonders if legitimate users were also affected, and whether online privacy groups intend to protest.